At Silversands Casino, the tournament duration is normally set to ten minutes of playtime, although sometimes for different tournaments this can change. During this time all players use the credits and playtime that are awarded when paying thetournament entry fee. 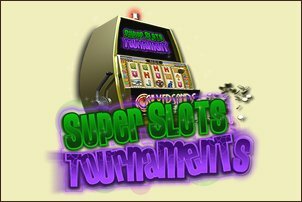 During the Tournament your credits will decrease as you spin the reels, just like when youplay regular slots. These credits are bet while winnings are added to the player’s score as Points. This is such fun because you can click on either the “Leader Board” or “Prizes” buttons from within the actual Slot Game to see your updated status at any time. Once the game play has ended (determined by whichever runs out first, Credits or Playtime) the slot game does not allow any more game play even though you may have time left or her credits available. The score that you achieve will be posted on the Leader Board” as will all players scores, showing all participants their scoring position for the slots tournament.